This is a picture of fingal's cave on Staffa off the coast of Scotland. 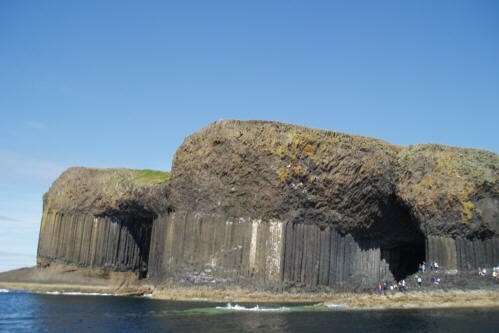 Fingal's Cave on Staffa is perhaps the best known of all of Scotland's caves. Its struture is unique in that it is there a sea-cave formed completely in hexagonally-jointed basalt.